Morningside provided more strong proof of their premiership credentials with a comprehensive 35-point win over the Brisbane Lions at the Gabba tonight. It was the Panthers who more resembled an AFL side with their huge capacity to run the ball, their defensive pressure in attack, and great depth of midfield rotations. After the Lions kicked two goals in the opening four minutes of the match, the Panthers took full control and led by nine goals deep into the third quarter. Coach John Blair threw his team around and rested a large number of key players on the interchange in the last term, allowing the Lions to kick six goals for the quarter, but the 21.11 (137)-15.12 (102) victory was still most impressive. “We looked to pressure them and be strong over the ball – nothing much changes there,” Blair said. Needing to win to guarantee a finals berth, the Lions started with plenty of spark and had two goals on the board in the opening four minutes of the game. The first term was played at a cracking pace and the Panthers quickly matched their high profile opponents, with Nathan Kinch, Tyson Upton and Hayden Wilson tackles resulting in goals. In fact, four of the Panthers’ seven goals for the quarter were the result of fierce tackles inside the forward 50m arc. While Joel Tippett won the majority of the ruck knocks in the opening half, they were regular sharked by Paul Shelton or David Lillico. As good as they were in the middle, the run off half-back was outstanding and a 20-point quarter-time lead became a 42-point break at halftime. Ryan Holman, Damien Bonney and crack recruit Mark Kimball were all outstanding in the first half. Kimball’s speed was breathtaking and he had a hand in a number of goals as he set up teammates downfield. So potent were the Panthers that nine different players contributed to their first 12 goals. “That might have had something to do with our rotations, although it is a reflection of the way they share the ball and run,” Blair said. When the Lions did take the ball forward, they met plenty of resistance in the form of Brett Connell, back from several weeks out with a shin injury, and Jarrod Price. Price was particularly impressive with his defensive pressure and run down the ground. The Lions suffered a blow near halftime when the strong-marking Aaron Cornelius was assisted from the ground very groggy and he did not reappear until the final term. 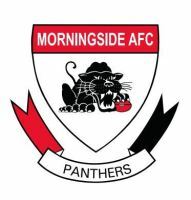 Morningside had a goal on the board within 28 seconds of the start of the third term, and 20 seconds in the last, making bold centre clearances. 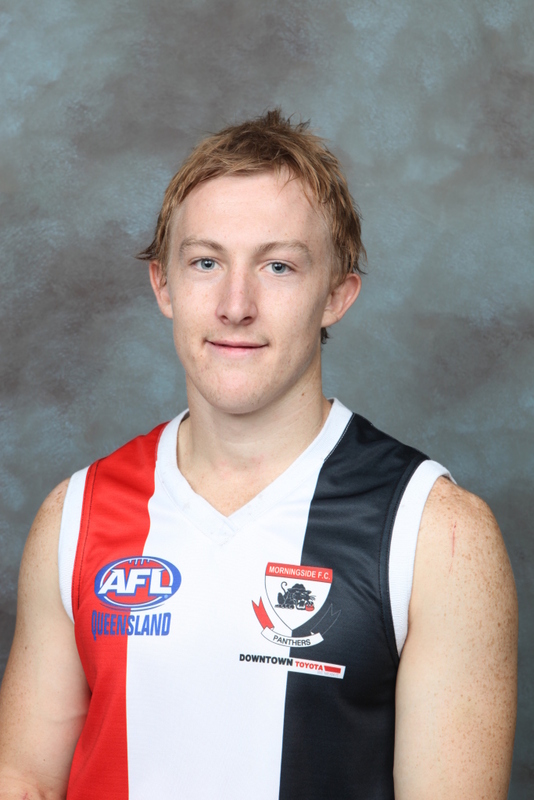 As they assumed more and more control, forward pocket Matt Logan (pictured) made the most of the opportunities being afforded. With Jason Roe playing superbly on Kent Abey and Shaun Mugavin well held by Matt Tyler, Logan bobbed up with seven goals. He also set up several others with his own defensive pressure in easily his best game of the season. The Lions kicked six goals to four in the final term to bring the margin back to a respectable level, which will be important as they fight for a finals berth next week. The Lions and the NT Thunder and neck-and-neck going into the final round, while Mt Gravatt will jump over both of them if the Vultures win by 10 goals at Dittmer Park tomorrow. There are no such worries for the Panthers, who cemented top place and a week’s rest before they take part in a home second semi-final. Panthers coach John Blair confirmed after the game that Morningside will host the final at Esplen Oval, rather than transferring to Coorparoo as has been the case in the past.